Colour Corrections on old Permanent Makeup! Smokey Eyeliner & Winged Eyeliner Homework Study Prior to Class. Correct formulas for colour corrections on old permanent makeup! 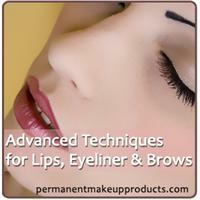 Lighten / Remove any old unwanted permanent makeup using 3 different products. Fabulous results using these methods. YOU DO NOT NEED TO SPEND $500.00+ FOR REMOVAL PRODUCTS! * Class Fees May Be Subject to Change.